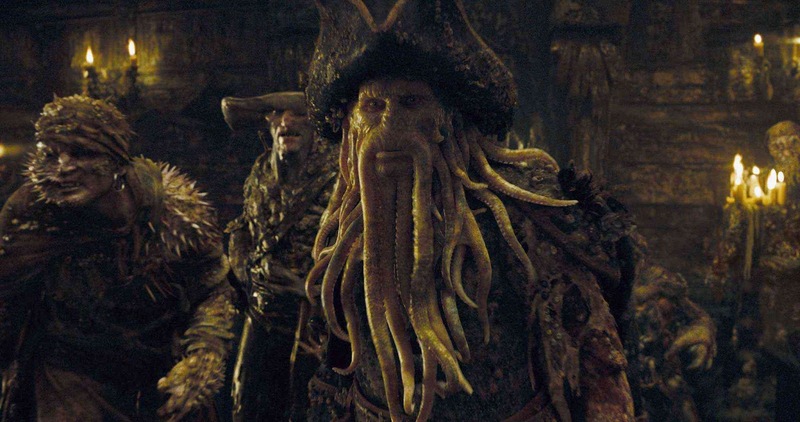 Brought to popular attention by the excellent 'Pirates of the Caribbean' franchise, the Flying Dutchman is now part of most people's vocabulary. 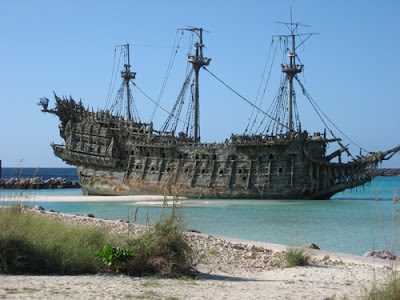 However, the flying Dutchman is not the figment of some faceless script writers imagination, it is in fact based on an old ghost ship legend that began over 400 years ago. As the story is told, an ancient 17th Century Dutch sailing ship is occasionally seen by ship’s crews as their vessels battle the elements to clear the Cape of Good Hope at the southern tip of Africa. However, as with all good legends, the origins are clouded and in dispute! It appears that the story has its origins in both Dutch and German legend. The most common is a tale about a Captain Hendrick Vanderdecken. He set sail in 1680 from Amsterdam to Batavia in Dutch East India and disappeared in a gale while rounding the cape. It is said that Vanderdecken ignored the danger and pressed on into the teeth of the tempest. The ship foundered, sending all aboard to their deaths. As punishment for his foolishness Vanderdecken and his ship were doomed to spend eternity fighting the tempest at the Cape. However there is a second version of the story. One that tells of a Captain Bernard Fokke who was infamous for the uncanny speed of his trips from Holland to Java. So fast was his ship that people believed he was in league with the devil! A third version changes the name to van Straaten, and yet a fourth version claims the captain’s name was Rambout van Dam. In all of the stories, the ship remains unnamed. 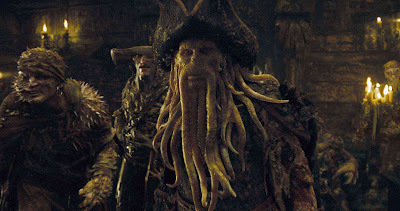 It seems that the reference to the “Flying Dutchman” is used to describe the cursed captain and not the ship. According to most versions, the captain refuses to retreat in the face of the storm. In yet other stories, some terrible crime occurs on the ship, or the crew is struck by the plague and is not allowed to enter any port. For whatever the reason, the ship and its crew are doomed to sail forever. 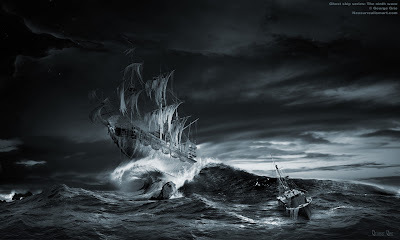 While there is general agreement that the Lost Dutchman is merely a legend, there have been actual reported sightings of a 17th Century sailing ship battling the elements at the Cape of Good Hope over the years. 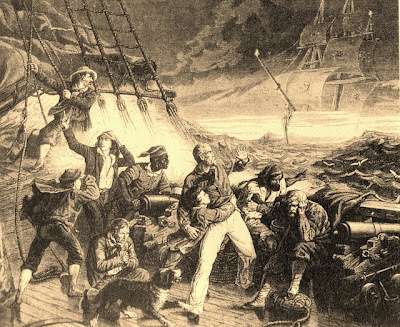 I had often heard of the superstition of sailors respecting apparitions, but had never given much credit to the report; it seems that some years since a Dutch man of war was lost off the Cape of Good Hope, and every soul on board perished; her consort weathered the gale, and arrived soon after at the Cape. Having refitted, and returning to Europe, they were assailed by a violent tempest nearly in the same latitude. In the night watch some of the people saw, or imagined they saw, a vessel standing for them under a press of sail, as though she would run them down: one in particular affirmed it was the ship that had foundered in the former gale, and that it must certainly be her, or the apparition of her; but on its clearing up, the object, a dark thick cloud, disappeared. 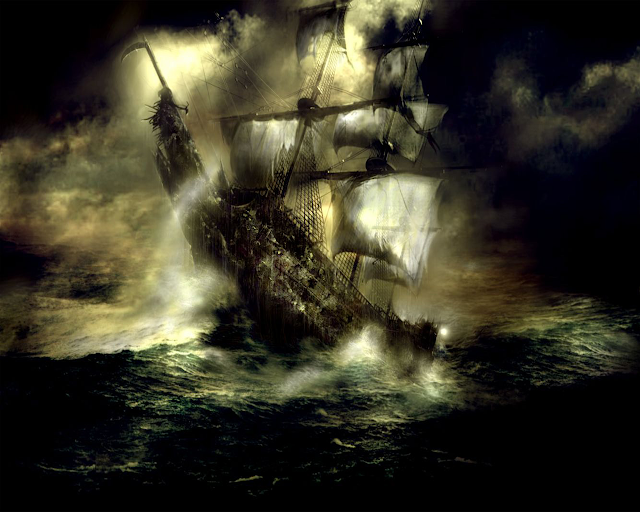 Nothing could do away the idea of this phenomenon on the minds of the sailors; and, on their relating the circumstances when they arrived in port, the story spread like wildfire, and the supposed phantom was called the Flying Dutchman. From the Dutch the English seamen got the infatuation, and there are very few Indiamen, but what has someone on board, who pretends to have seen the apparition. 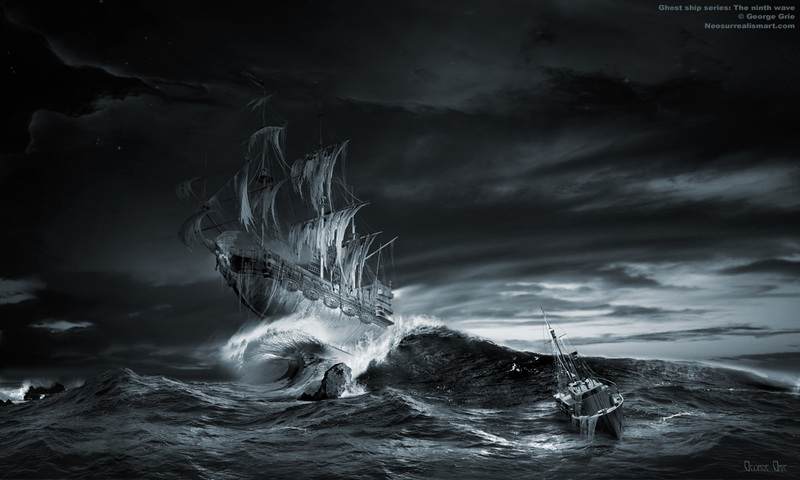 Perhaps the first officially reported sighting occurred in 1835 when a crew of a British ship was rounding the cape and observed a “phantom ship” approaching in the shroud of a severe storm. The British crew said the vessel appeared to be on a collision course, but then it suddenly vanished. The H.M.S. Bacchante encountered the Flying Dutchman again in 1881, also at the cape. The following day one of the two men that made the sighting fell to his death from the rigging, thus enhancing the story to include a curse on those that see the ghostly vessel. A more recent sighting was made by people on the shore in March, 1939. What was astounding was that it was seen by dozens of people who all gave a detailed description of a Dutch merchantman from the 17th Century. At 4 a.m. the Flying Dutchman crossed our bows. A strange red light as of a phantom ship all aglow, in the midst of which light the masts, spars, and sails of a brig 200 yards distant stood out in strong relief as she came up on the port bow, where also the officer of the watch from the bridge clearly saw her, as did the quarterdeck midshipman, who was sent forward at once to the forecastle; but on arriving there was no vestige nor any sign whatever of any material ship was to be seen either near or right away to the horizon, the night being clear and the sea calm. 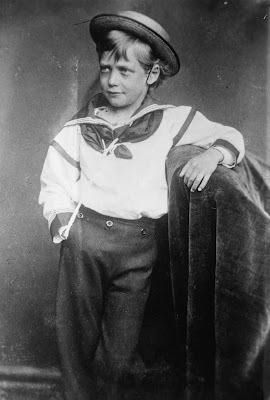 Thirteen persons altogether saw her ... At 10.45 a.m. the ordinary seaman who had this morning reported the Flying Dutchman fell from the fore topmast crosstrees on to the topgallant forecastle and was smashed to atoms. The last recorded sighting occurred at Cape Town in 1942 when four witnesses saw a sailing ship enter Table Bay and then disappear before their eyes. HOW DO DOLPHINS BREATHE WHEN THEY SLEEP?